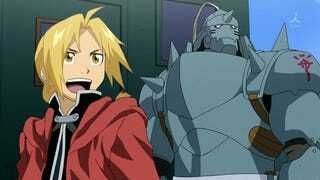 Filming for the live-action Fullmetal Alchemist adaptation has wrapped up, Crunchyroll reports. Filming for the live-action Fullmetal Alchemist adaptation has wrapped up, Crunchyroll reports. Will the Italy-shot Warner Brothers film do justice to one of the best anime of all time? We’ll find out next year. Previously, we reported that the film’s cast (unlike live-action Ghost in the Shell’s) is all-Japanese.